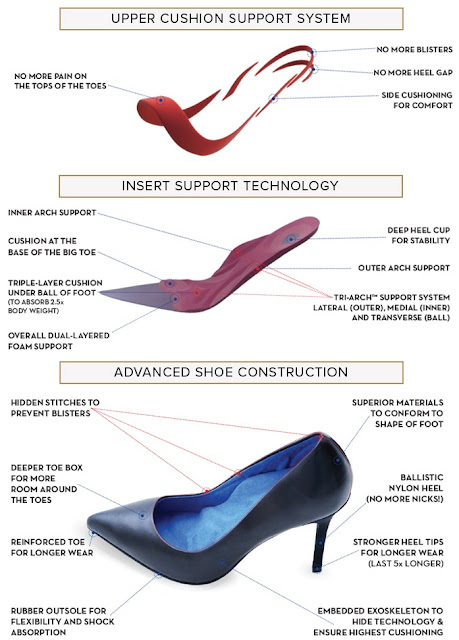 Wearing heels for a long time is pain for most of the women because these hurt. Antonia Saint NY made heels and flats that look classic on the outside, and feel like sneakers on the inside. These heels are made for any type of floor. Classic design of the heels give it a perfect finishing and form inside it gives perfect fit. The above image is enough to describe the advanced technology of the product. These heels and flats are available to buy from its website.